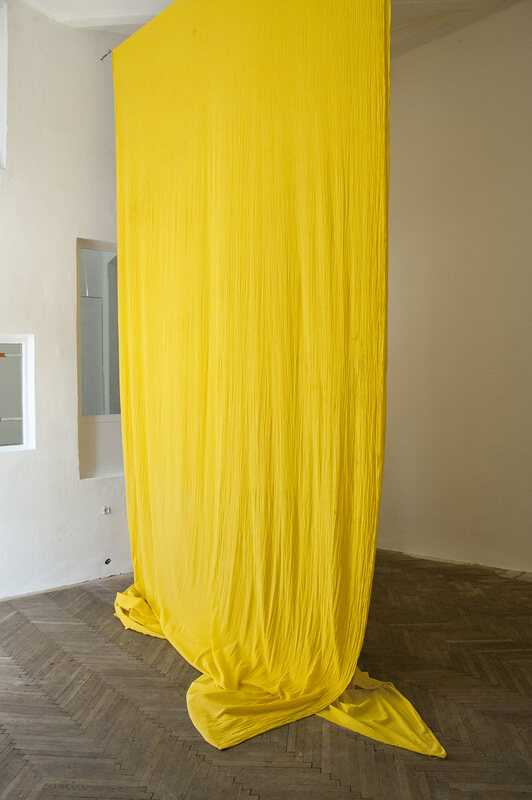 Untitled (Turmeric) consists of a 3 meters wide and 15 meters long cotton panel which was treated with turmeric and citric acid. 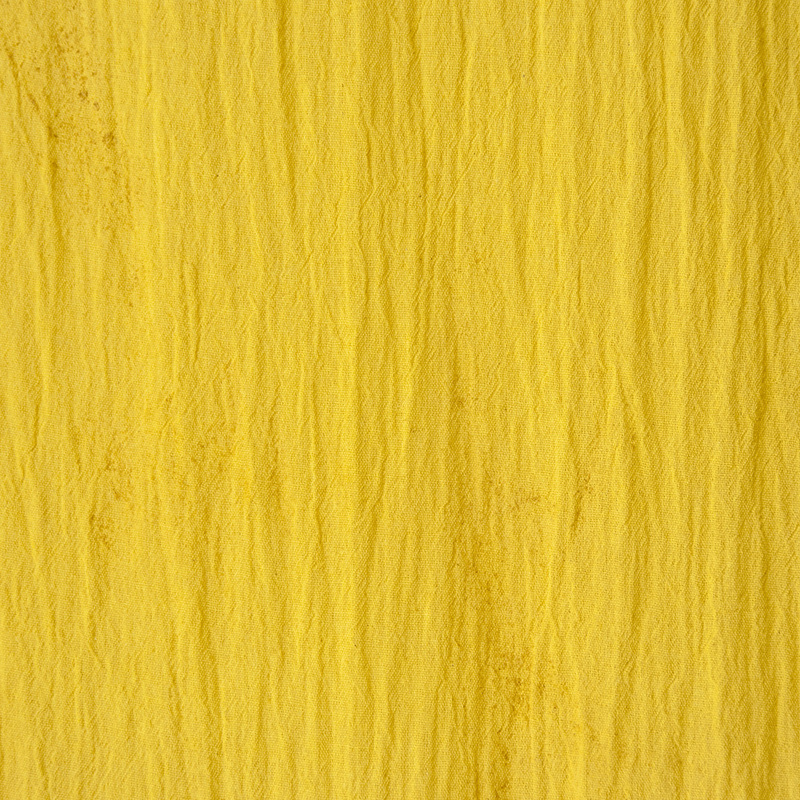 Turmeric makes a vivid color, due to the exposure to sun light it changes and bleaches out rapidly. This process was to be followed over the runtime of an exhibition. 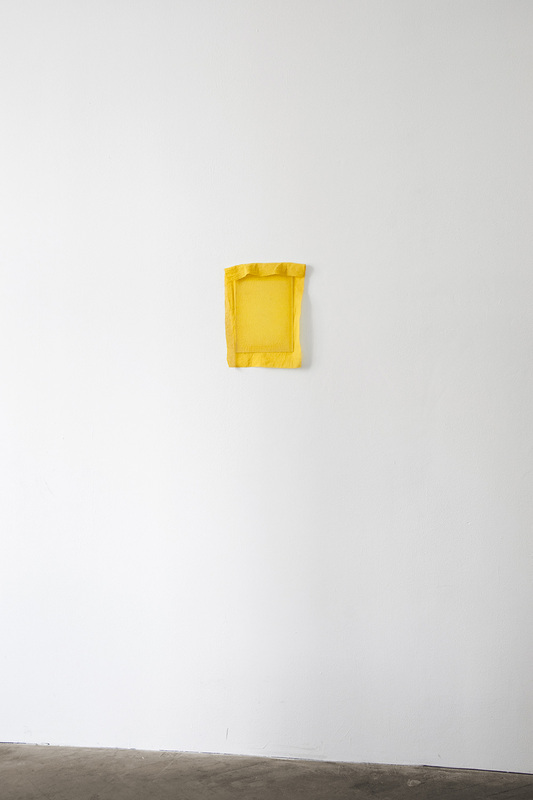 The work was installed next to Untitled (convey Regular, convey Regular Italic) . 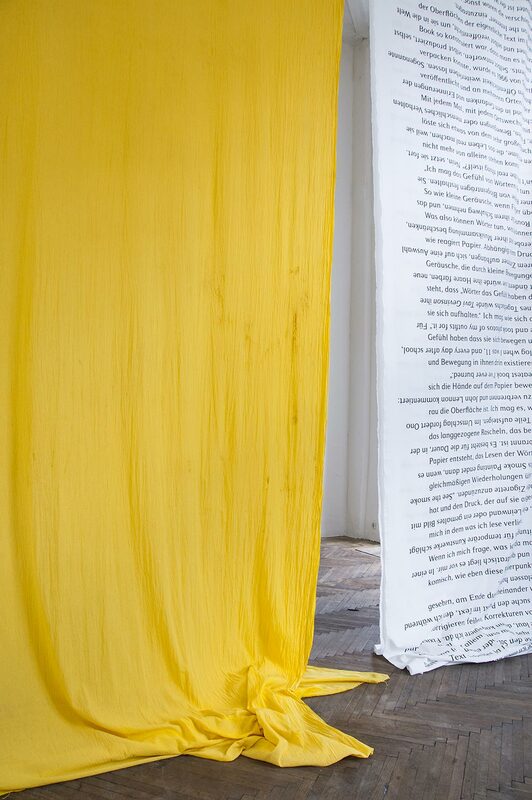 Untitled (Turmeric Edition) is made of textile samples treated with turmeric and citric acid. 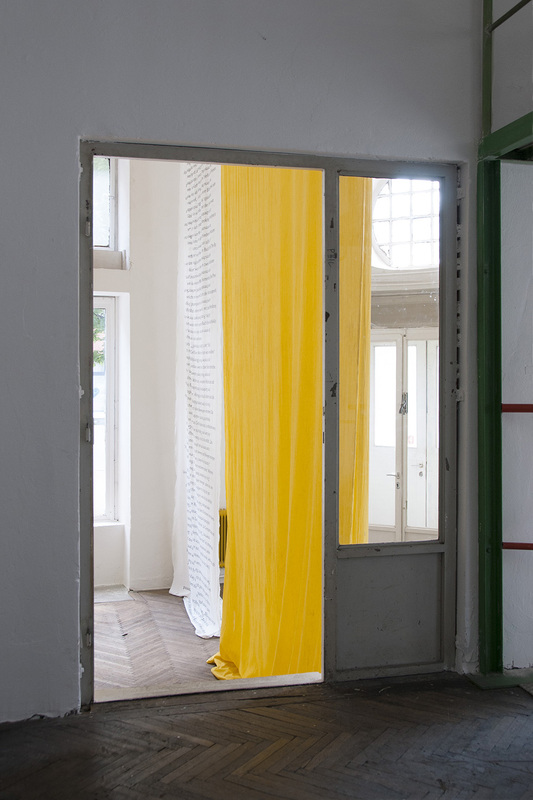 Each textile is placed between two sheets of UV-filtering glass, fixed with an archival laquere. 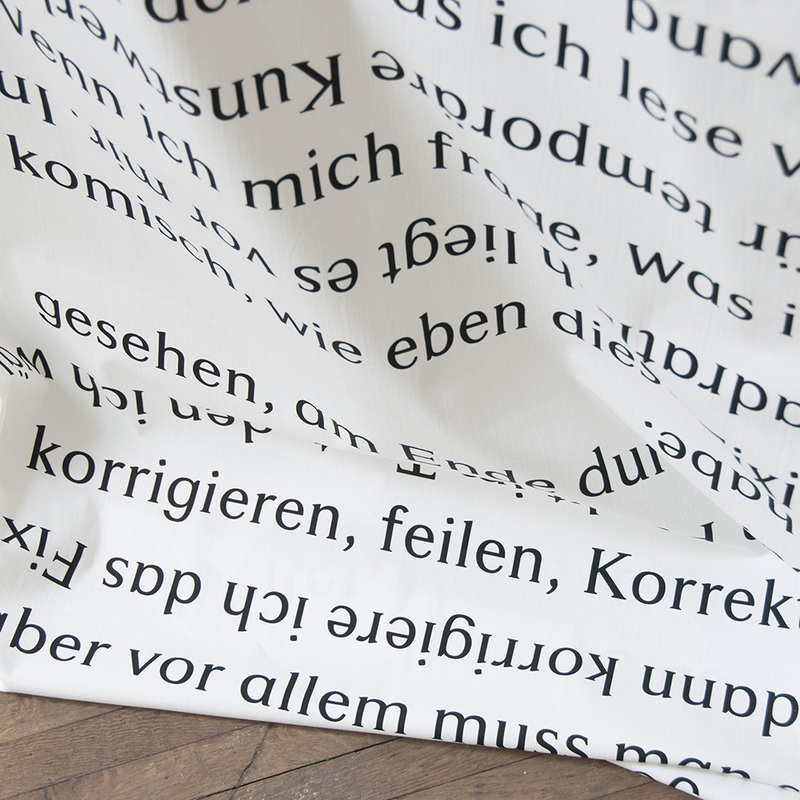 Untitled (convey Regular, convey Regular Italic) are ten meters of heavy cotton satin fabric with six texts printed on: all writings made from reflections on reading materials by Alison Knowles, Gertrude Stein, Friederike Mayröcker, Yoko Ono, Tavi Gevinson, and Hannah Black. Each of these authors had repeatedly discussed the processes of reading, writing, and publishing within their writing practices. 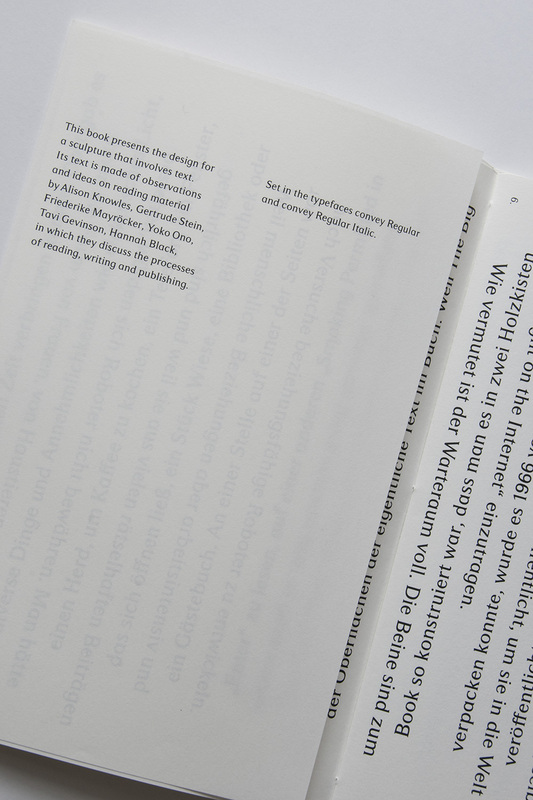 The title of the work derives from the two applied typefaces: convey Regular and convey Regular Italic which were designed 2008 by Gabriele Lenz. 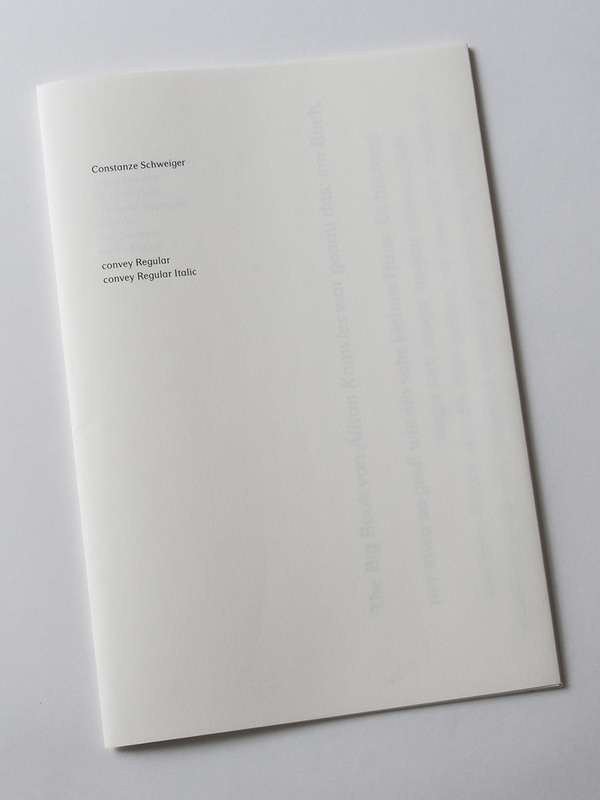 Constanze Schweiger: Alison Knowles, Gertrude Stein, Friedericke Mayröcker, Yoko Ono, Tavi Gevinson, Hannah Black, convey Regular, convey Regular Italic is an artist book. It presents the text and design used in ‹Untitled (convey Regular, convey Regular Italic) .